Korean Counter-Strike Players Can Win a Pig. Like, A Real Pig. In my time, I've seen some pretty interesting swag. But I don't think I've ever seen any swine, er, swag, like this. According to the Counter-Strike Online 2 website (via tipster Sang), the game recently got a new game mode called "Pig Mode." It consists of adding pink and blue piggies. Counter-Strike Online 2 is licensed from Valve, but developed by Nexon Korea for Asia. It runs on Valve's Source engine. To help promote Pig Mode's release, Nexon is selecting five people at random who share the mode's trailer on their social networking sites. Those lucky five will receive a pig. 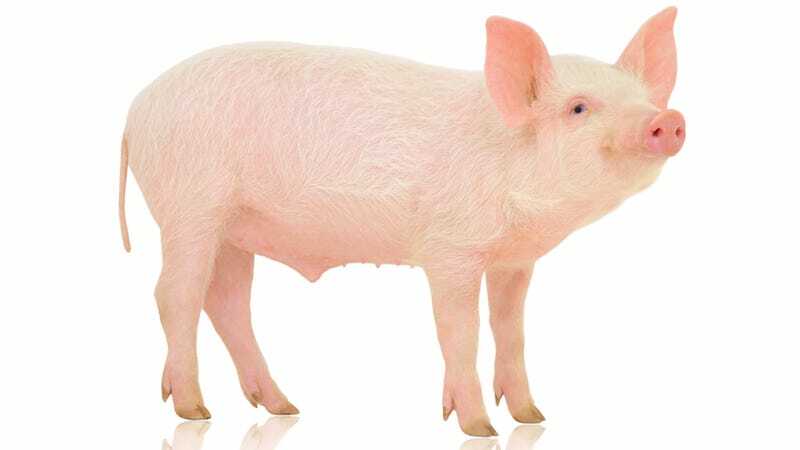 Winners can have the live pig, which is a high-grade hog weighing 110 kilograms (not pictured), shipped to their residence. Or they can either choose to have the swine's meat carved and delivered or have the entire porky barbecued and delivered. Their call! Nexon Korea is putting new meaning to "going whole hog," "pigging out," "bringing home the bacon," and pretty much any other pig-related idiom.